With companies now redoubling their efforts to manage and maintain their corporate information, decisions about data quality tools, integration architectures and data standards must be deliberate. Executives must be willing to enforce rigor and invest in data skills independent of the systems and business initiatives they support. And, most importantly, they need to adapt the resulting tactics to their companies’ own readiness. 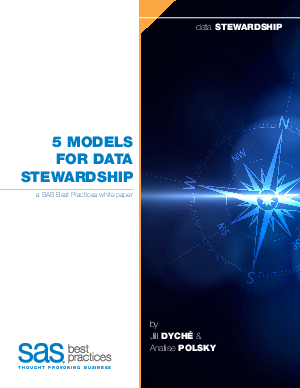 In so doing, they endorse a data-driven culture and ensure that data stewardship sticks.